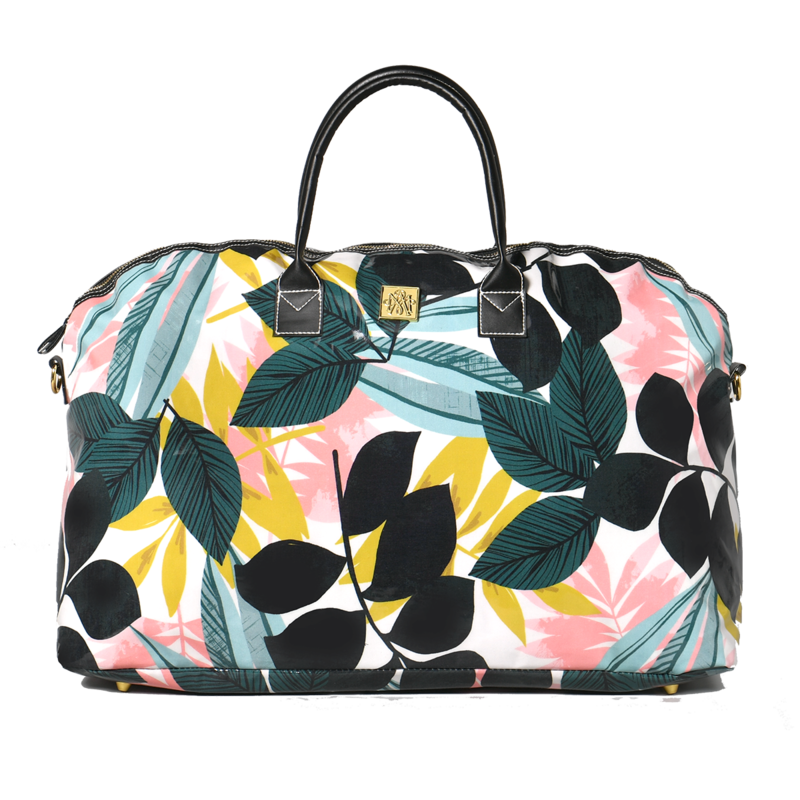 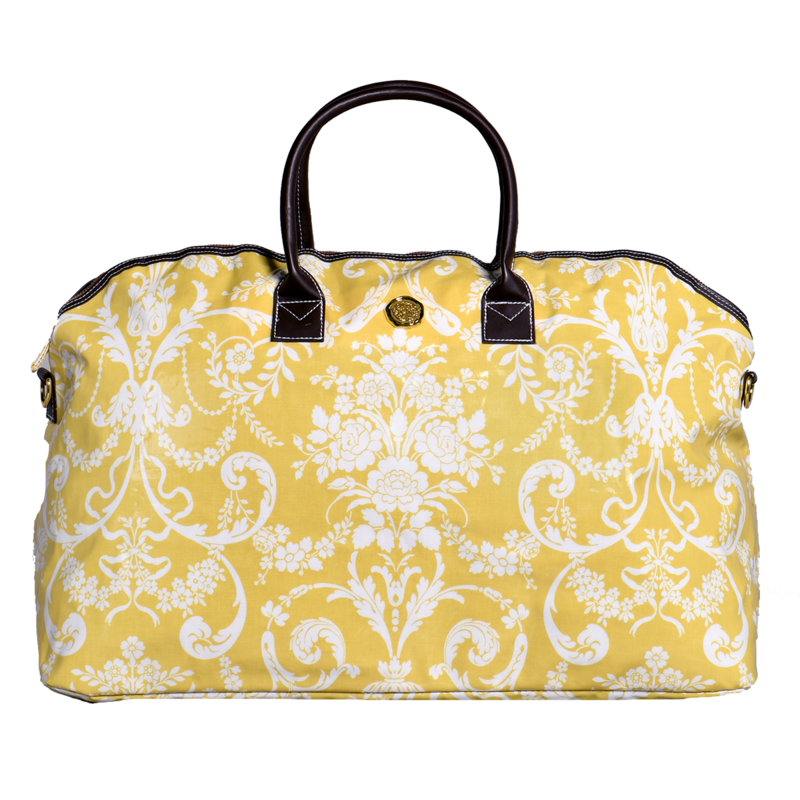 Our duffle is made of a laminated fabric and is lined with a nylon interior. 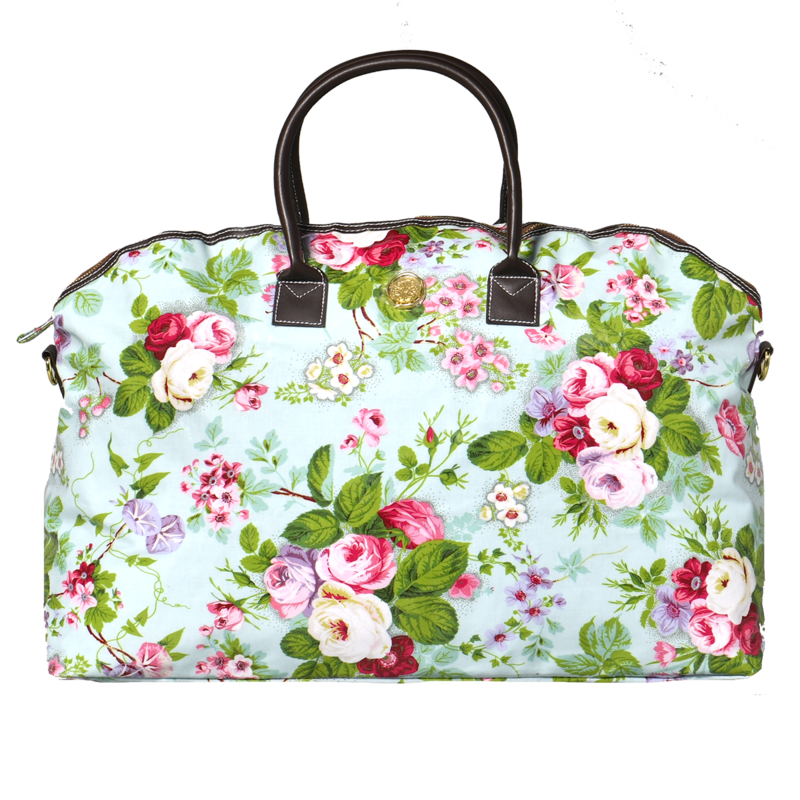 This bag features interior zippered pocket, removable and adjustable shoulder strap. 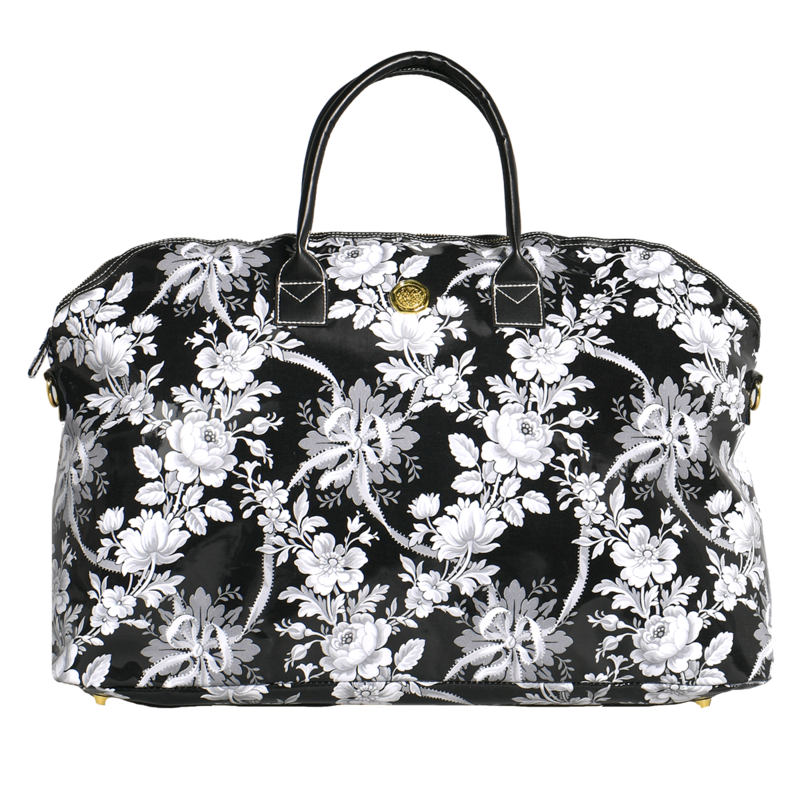 Dimensions are 22″ x 13″ x 10″.